I have finally found myself an hour to be able to craft. These past 2 weeks have been go go go for me with Miss K’s birthday, school activities, sport and plenty of my paying work to be done prior to us going on our cruise tomorrow! Yep, we’re heading off on a cruise to the islands of Noumea, we’re taking my mum along who needs to make some very happy memories before she undertakes her third lot of chemo treatment. She got some results that were not what we were hoping for; but it is what it is and we will continue to be strong and provide the support that she needs. So, on to more happy things – the bookmark. I used the current month digital image from Gerda Steiner Designs which is an adorable cat sleeping on a bookshelf. I thought to make a bookmark as I’m planning on catching up on my reading on the cruise. I coloured this little cutie in with my Prisma Pencils, added it to a tag and tried a bit of mixed media for the finishing effect. I can see him getting a good workout over the next 2 weeks. It isn’t easy being green! Those who know me won’t be surprised by this next statement – I love green. So when I saw that there were some challenges that I could play with my favourite colour I quickly got myself inky! I used a stamp set by Altenew called Peony Bouquet with a sentiment from their Birthday Greetings set – thanks to my MISTI for making this multi-layer stamping super easy. 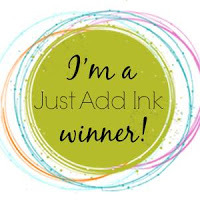 The inks are from Catherine Pooler Designs in Melon Ice, Garden Party and Lime Rickey. The black stripe DSP is from a MFT 6×6 paper pad. I added some sequins for a little bit of extra bling and I was done. The background behind my card is my new Tim Holtz glass media mat which I love; cleaning up has never been easier! Author tinstar05Posted on March 18, 2018 March 22, 2018 10 Comments on It isn’t easy being green! My friend Michelle from Seashell Creations came over for a visit and some crafty time today and she brought with her a new Panda die from Neat & Tangled that I knew I just had to play with and I had the perfect 3 challenges to enter my card into too. I die cut the panda from Stampin Up Whisper white cardstock and used dimensionals to pop the front up so you could see the image. The sentiment is from a MFT set called ‘All about you’ and I think the ribbon bow just added the final touch to this cute panda girl. Can’t get more monochrome and CAS than this! Adorable don’t you think? Yup you read correctly – I love green – especially vibrant lime green; so when I saw the recent batch of challenges that I get via email, I knew I had to play with 5 of them and I have 1 card that I think suits all 5. I used a stamp set from Fun Stampers Journey called ‘Dance life’ and she was perfect for an ink smooshed background that I think looks slightly ombre, is certainly monochrome, clearly green, clean & simple and uses a stamp set I’d forgotten about and is a dress – there all challenge criteria met! I used Stampin Up card stock in Lucky Limeade, Garden Green and some water-colour paper. I smooshed Tim Holtz’s Twisted Citron ink onto my mat, spritzed it with water and then put my card piece into the wet ink, careful to only get the ink around the stamped image. I think she’s truly beautiful. I got my craft on today – woot woot! Everything just seemed to be aligned – time, inspiration and weather. Weather you say? Well it’s finally a bit cooler here which means being indoors is so much more pleasant without the heat and humidity we’ve been having lately. First up is my CASology card – I played with the theme in a bit of tongue in cheek way using a cat from the Katzelkraft “Les Chats’ stamp set coloured with my prisma pencils and I created the sentiment on my computer. This is my type of exercise! Up next is my card for the Watercooler Wednesday challenge. This card is going to be one of a set of cards for a new work colleague who is an apiarist wanting me to make ‘bee’ themed Christmas cards for her. I used the Stampin Up hexagon die plate to simulate the hive, the sentiment I created on my computer and the bee is a digital image from Freepik with an added Santa hat. I’m pretty happy with how this turned out and I’m hoping she’ll love it too. Third card for the day is for the CAS-ual Fridays challenge. I used another Katzelkraft stamp set “Les Jungles” with the sentiment created on my computer again. I coloured him with my prisma pencils. Lastly my card for the JUGS #430 challenge . This card is for Miss K who is turning 11 later this month. I’m glad I’m making it now as time will certainly get away from me with all the things I have to remember doing between now and then 🙂 I die cut my balloons using Avery Elle balloon dies and stamped the sentiments on the balloons from a Winnie & Walter set called ‘ring in the celebration’. Ok, so anyone who has read my previous post would have seen that I was abstaining from coffee for a month as part of a detox and to help me reduce my sugar intake. Well it almost killed me but I’m glad to say that I stayed the course and lasted the month BUT as soon as the 30 days were done the first thing I had the very next morning was a cup of coffee! So when I saw the stamp set from CAS-ual Fridays called “Coffee Talk ” I knew which sentiment I was going to use on my next card for the Card Concept challenge as it perfectly summed up my 30 days sans coffee experience. I used the flat elephant from a Katzelkraft set called ‘Les Jungles” and he matches so well with the sentiment. I kept is CAS so that he was the centre of attention (as he deserves). Now here’s a technique that I’ve neglected in recent times. I’ve been too busy with OLC cards that I’d forgotten how great a dry embossed background can complement a focal image. The current challenges at Less is More and Try Stampin’ – or not – on Tuesday are all about dry embossing. Now I got a little bit carried away and created 3 cards, all just that little bit different from each other. This first one is for my mother who is being an absolute superstar while undergoing cancer treatment for a second time. I used a digital image from Some Odd Girl and the sentiment is from the Sweet Stamp Shop ‘super mom’ set. I coloured her with my alcohol markers and then added her to a dry embossed base using an embossing folder form Stampin Up. This next card will go into my birthday card stash and I really like the effect I achieved with the embossed background that I lightly sponged over to give it that worn look. The embossing folder is from Spellbinders #E3D-004 basket weave and I die cut the butterfly from some scrap DSP. The sentiment is from an old Stampin Up set. The last card will go into my masculine card stash and combines dry embossing with some scrap DSP banners and a couple of coloured dots for the finishing effect. The embossing folder is from Cuttlebug and the sentiment is an old Stampin Up one. Not sure why this image is so small but I’m sure you get the idea.